In a rapidly changing society where everything seems to be just one click away, it is STAT’s objective to teach universal life skills that are adaptable to our current times and useful in meeting the demands of the present and future challenges of our students. We speak of skills such as perseverance, cooperation, and transcendence. Perseverance allows our students to keep progressing in rank while being conscious of the determination and tenacity that the process requires. Cooperation guarantees that there will always be someone willing and ready to help them, be it an instructor, a fellow student, or even a parent. Transcendence happens every time a student surpasses his/her own limitations, like mastering a technique that at first may have seemed impossible. All of these skills/principles are naturally planted and strengthened through every day training, with the added bonus of carrying over into the personal lives of our students through an intentional and thorough instruction methodology. It is not enough for us to create excellent athletes, capable of executing impressive techniques. Above all, it is our goal to cultivate true winners and leaders in life. This is what makes STAT Martial Arts a real School of Life. Driven by a great desire to teach and fueled by an astounding passion for Martial Arts, Mr. Tanger founded STAT Martial Arts in 2010 with the aim of creating an academy that included more than just martial arts training. Mr. Tanger has always believed that Martial Arts, namely Songahm Taekwondo, would provide the perfect means for sharing and teaching life skills like Discipline, Respect, Self-Esteem, Honesty, Communication and Belief. STAT students have been known to achieve European and World titles but, above the pride felt in seeing his students succeed in competitions, Mr. Tanger’s greatest joy and sense of accomplishment comes from witnessing them succeed in life, be it at school, in their careers or in their personal relationships. STAT’s most significant victories happen when students demonstrate leadership, initiative and respect in their own lives. A 5th degree black belt, Mr. Tanger is one of the most renowned instructors worldwide. Mr. Folgado is a trained instructor in Songahm Taekwondo, XMA (Extreme Martial Arts), Wushu, and Tai-Ji. He is best known for his incredible tricking skills and for taking classes to high levels (literally). Energy and grit are the words that best characterize Mr. Folgado’s teaching style. Songahm Taekwondo, Warrior X-Fit and personal training instructor, Mrs. Tânger is best known for her exemplary technical skill, rigorous intruction, and friendly nature. As one of the highest ranked female instructors in Portugal, she is always ready to raise the level of her students. As a Songahm Taekwondo instructor, Ms. Rodrigues has developed many of STAT’s cutting edge programs such as XMA, STAT training Camps and, most recently, the Alto Rendimento da STAT. Ms. Rodrigues is living proof that determination and hard work pay off. Songahm Taekwondo instructor and professional musician, Mr. Fragoso is characterized by his calm nature, patience and attention to detail. Mr. Fragoso is extremely dedicated to his students and to their pursuit of excellence. Songahm Taekwondo instructor, elite competitor, Demo Team star, and natural born leader, Ms. Santos belongs to the first generation of STAT “born and raised” instructors. As STAT’s youngest instructor and one of the most experienced instructors in the country, Ms. Santos is a role model for all. Songahm Taekwondo, Krav Maga and Warrior X-Fit instructor,Mr. Lacerda enjoys a good challenge and makes sure his students know it! Friendly and dynamic, Mr. Lacerda is equal parts playful and demanding. He is always ready to lead by example and is known for his dedication to students of all ages and for his willingness to help whenever and wherever he’s needed. 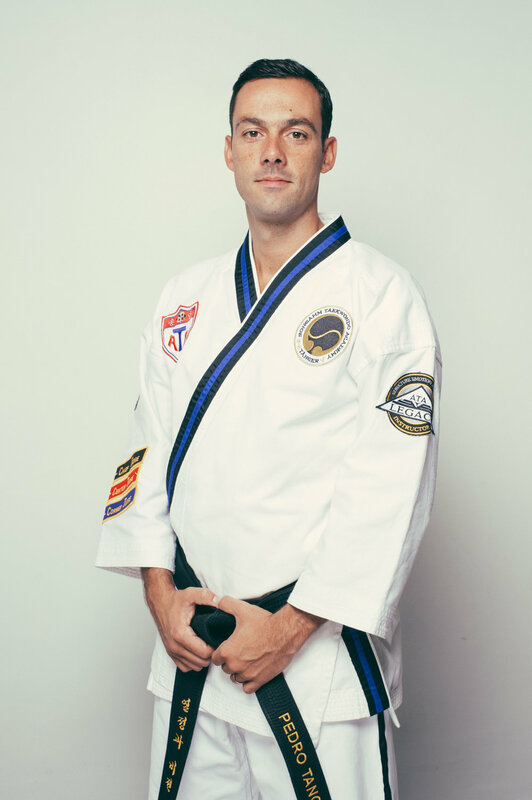 A Songahm Taekwondo Instructor and Sports Science student, Mr. Carvalho may seem reserved and quiet at first, but once he is in the dojahng he quickly turns into a charismatic and inspiring instructor, always ready to lead intense and engaging classes. Songahm Taekwondo instructor and Program Director at STAT Restelo, Ms. Vizinho is best known for her fastidious assistance and dedication to students and their families. Ms.Vizinho personifies the care and consideration that STAT has become known for. Program Director at Campo de Ourique, Mr. Nunes is always available to assist students and parents in whatever they may need. Thoughful, dedicated and efficient, Mr. Nunes guarantees that STAT ‘s commitment to excellence is present in everything he does. STAT parent-turned-Head of STAT logistics department, Mrs. Filipa is responsible for all issues concerning equipment, uniforms and merchandise.